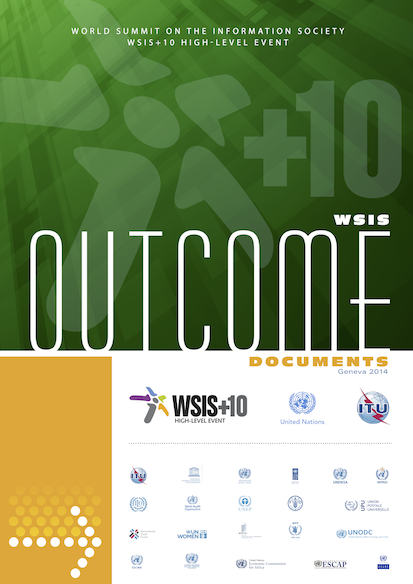 Blow is an annotated version of “Proposal by Chairman of WSIS+10 High-Level Event” (11 June), wsis10.vision.r2, showing differences between text included or excluded from the earlier draft of the Vision statement, as agreed at the end of the sixth MPP meeting, the MPP Chair’s report, and wsis10.vision.r2. 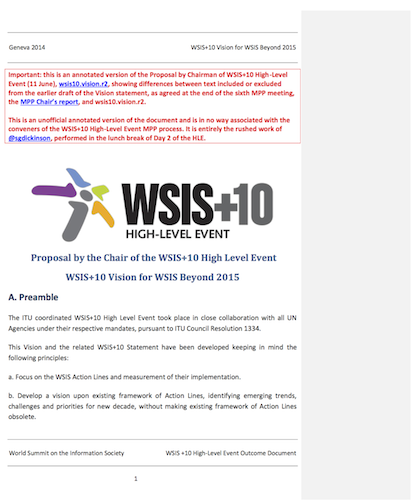 This is an unofficial annotated version of the document and is in no way associated with the conveners of the WSIS+10 High-Level Event MPP process. It is entirely the rushed work of of me, @sgdickinson, performed in the lunch break of Day 2 of the HLE.